Many prisoners place high value on words and writing, thanks in part to the influence of hip hop, rap artists and poets, says Tracey McIntosh, who has been volunteering at Auckland Region Women’s Corrections Facility for the past nine years. Tracey, Associate Professor of Sociology at the University of Auckland, is of Tūhoe descent. 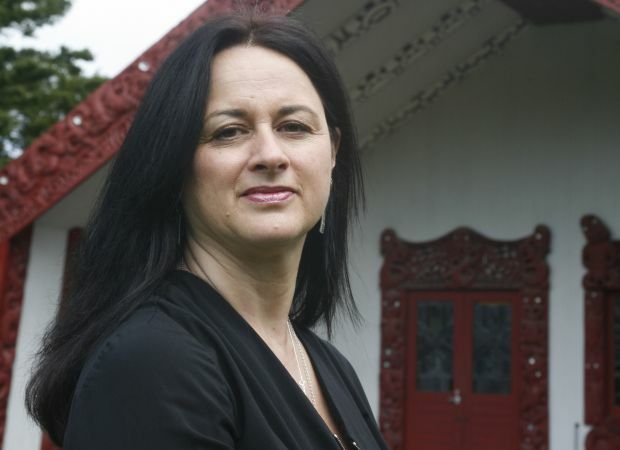 She is also Co-Director of Ngā Pae o te Māramatanga, New Zealand’s Māori Centre of Research Excellence. Her current area of research is violence in our society – why it’s happening and how we can reduce it. Back in 2007, Tracey was asked to support two young women studying for NCEA qualifications in Auckland Region Women’s Corrections Facility. The support grew to include other women and their educational aspirations. “Teaching creative writing came from working with these young women doing NCEA and encouraging them to write through their own experiences,” Tracey says. “Creative writing is the output but actually, it’s about being human together, talking and reflecting, and learning together. Cheryle Mikaere, Prison Director, Auckland Region Women’s Corrections Facility, says Tracey’s ongoing support is “brilliant” and her creative writing classes empowering. Tracey believes we all have the right to beauty in our lives. Although creative writing draws on a “deep, dark well of experience”, it can also be used to provide some distance from that experience. “You can imagine yourself in different places, spaces and time, and so writing can be liberating,” she says. She uses humour, colour and images – often grounded in the natural landscape – to encourage lightness in the women’s writing. Tracey, who received a Tertiary Teaching Excellent Award in 2016, says the most important element of teaching and learning is their transformative value – their ability to change lives and also have an impact on future generations. How difficult is it to hear and read week after week about the “deep, dark well” of the women’s experiences? Sometimes, Tracey says, when she leaves the prison car park, it feels hopeless. At other times, she feels hopeful. "Social justice and volunteer ethos"
Asked what motivates her to volunteer every week, she says she it feels like a natural thing to do. “For me, as a Māori woman, it’s important to engage with all of our women. I also come from a family with a strong social justice and volunteer ethos so this is a way I can use my skills. Over January, Tracey runs an intensive two-week creative writing programme at Auckland Region Women’s Corrections Facility. She’s also keen to see the women’s writing published as a taonga for them and to have their voices heard. “A lot of prisoners’ writing has been published globally but there’s not much of it in New Zealand,” she says. Tracey says she has always felt very welcomed into the prison environment but it’s not a welcome she feels entitled to. Respect, honesty, sensitivity and trust are important ingredients in building positive, sustainable relationships with the prisoners. Original generation time 1.5568 seconds. Cache Loaded in: 0.0202 seconds.